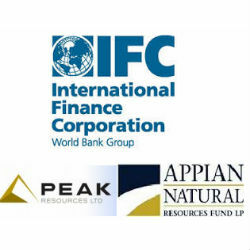 In partnership with the Appian Natural Resources Fund LP, the International Finance Corporation (IFC), a member of the World Bank Group, has proposed a USD 25 million investment in the Ngualla Rare Earth Project in Tanzania, which is currently being managed by Australia-based Peak Resources Limited. The rare Tanzania minerals discovered at the Ngualla deposit represent the highest grade of the large undeveloped rare earth deposits with a projected delivery potential of nearly 170 million tons of rare earth oxides at a grade of 2.24% rare earth oxide content. The proposed investment would help to finance the bankable feasibility study for the Ngualla Projects and guarantee that the project remains funded and continues to encourage confidence and trust among investors. According to Darren Townsend, Managing Director of Peak Resources, said, the company is eager to move forward and pleased with the caliber of partnerships that the project has attracted. According to the agreement, the IFC and Appian will partner together on a 20:80 pro rate split, with IFC contributing 20% of the total investment and Appian contributing the remaining 80%. The investment has been approved by IFC’s investment committee and is now subject to the successful completion of a mandatory 30-day disclosure period as well as the formal approval by the Board of IFC.